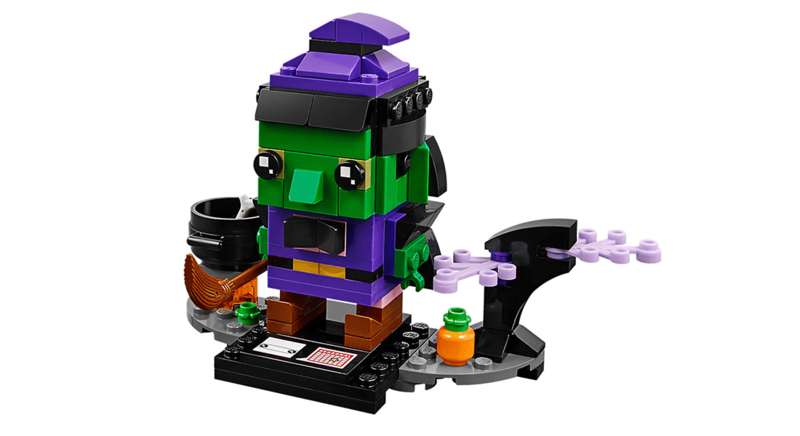 Lego 402722 Halloween Witch Brickheadz 萬聖節巫師發佈, 這是以萬聖節 (Halloween )作主題推出的 Brickheadz 組合. 售價為US$9.99. 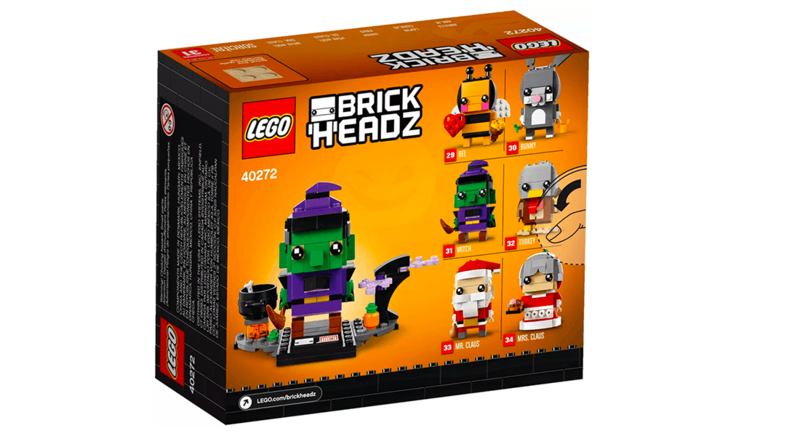 Lego 40272 Halloween Witch Brickheadz 萬聖節巫師屬 Brickheadz Seasonal 節日系列, 編號 Brickheadz 31 的 Lego 40272 共有151件組件, 當中除了萬聖師巫師 Brickheadz 外, 還有南瓜, 骨頭, 巫師招牌的黑色大湯煲及掃把. 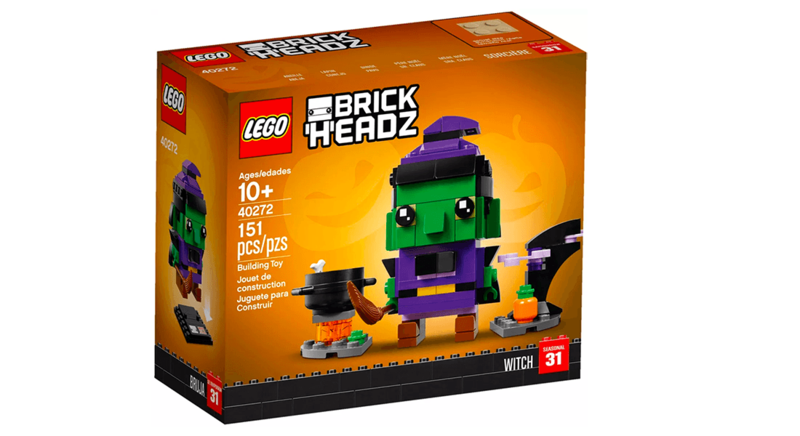 Lego 40272 Halloween Witch Brickheadz 已經在美國 Lego Shop 有售價, 價格為US$9.99.